The Belmont Stakes, the final race in the illusive Triple Crown, is this Saturday June 7! You can watch on NBC, the live coverage starts at 4:30 but I think the actual race takes place around 6 pm. On NBC sports you can see a show about California Chrome at noon, and then race day coverage from 2:30 on until post race coverage at 7. 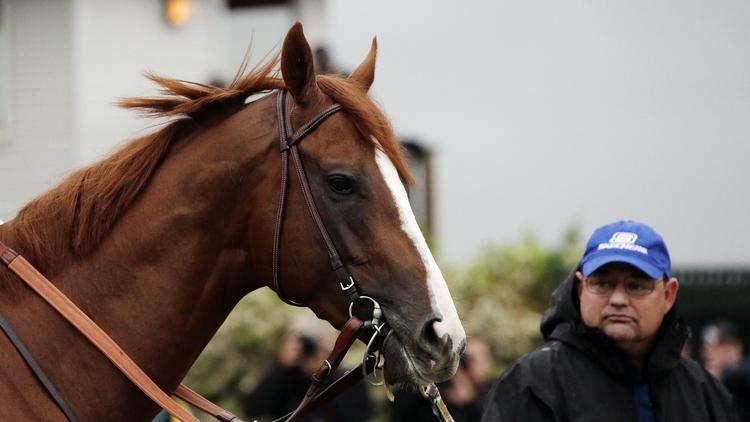 Can California Chrome make racing history? Many horses have won the first two races only to fail to win the third and longest. There are 11 horses in the race, some of which have been contenders against California Chrome since the Kentucky Derby. Wicked Strong is back for a second race against Chrome, and Ride on Curlin and General a Rod are back for their third go. Chrome will be running from the number 2 post position, which is sort of unfavorable (5 is the most favored) but the race is one of the longest, with the widest turns, and fewer horses than other races. Maybe even more important, Secretariat ran from an inside post position when he won the Belmont Stakes (even though he only had to beat 4 other horses no one is disputing his raw strength and ability). Wicked Strong is a favorite to steal the win from Chrome because he is more fresh, placed well in his past two races, and has run best in New York. Ride on Curlin finished second to Chrome in the Preakness, who took the most favored post position number 5, could also pose a big threat. No one should forget Commanding Curve either, he raced against Chrome in the Kentucky Derby and finished in second place. 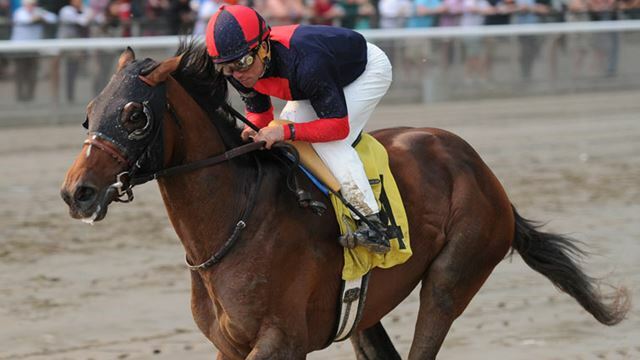 The newcomer to the race which poses the biggest threat to Chrome is Tonalist, who won the Peter Pan Stakes at Belmont Park, which has historically indicated a horse prime to place well in the Belmont Stakes. Everything is uncertain at this point, I want Chrome to win but he has some impressive competition. It all comes down to race day, don’t forget to watch! 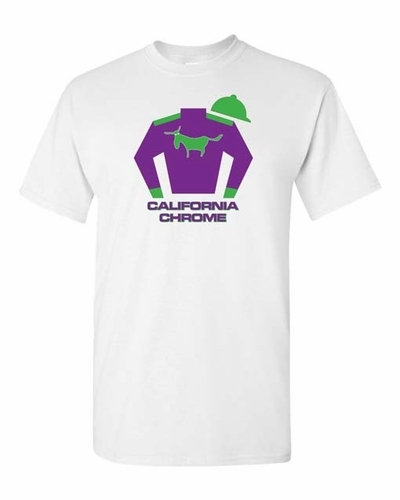 Interested in picking up some official California Chrome merchandise? I had no idea you could get such items, but given his popularity and the chance for a Triple Crown I am guessing this stuff is selling! Find it at the Belmont Stakes store here.